e-Visa Australia Pty. 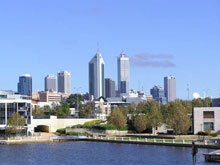 Ltd. is a registered immigration consultancy operating in PERTH, WA since 2002. In Australia, this registration is granted only to people who are qualified in Australian Immigration Law and have proven track record of sound character and financial prudence. How would you know that you are dealing with a genuinely registered migration consultant? The Migration Agents Registration Authority (formed under government legislation) keeps an online register of registered migration consultants and you can verify our status by searching for our 7-digit registration number 0209861 at Australian Migration Agents' Register. We are also a member of Migration Institute of Australia and Migration Alliance, two peak migration industry professional bodies in Australia. e-Visa Australia Pty. Ltd. was established with a mission of helping people realize their dream of achieving a better quality of life and higher living standards in a multicultural Australian society. We provide comprehensive services starting with your initial skill/trade assessment to your arrival and settlement in Australia. Is it easy to deal with a migration consultancy that is based in Australia? The simple answer is YES, it is the fastest, most reliable and cost effective way of achieving your migration goals. e-Visa Australia sends all forms, guidelines and the required information promptly by email to clients usually within minutes of receiving a request and endeavours to respond to email queries within 24 hours. We e-lodge all Visa applications. Once approved, the visa grant letter from the immigration department is emailed to you within minutes of your visa approval. We invite you to take this opportunity to start a new life. Diploma in Financial Services & Mortgage Broking (Australia). 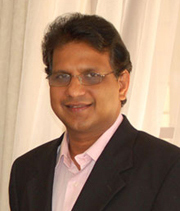 Varghese Puthussery, Principal Consultant of e-Visa Australia, is a migrant himself, and has been living in Australia since 1992. Over the years, Varghese has assisted thousands of families and individuals from the United States, Europe, Middle East, India, South East Asia, and North America in their migration process. Varghese is an expert in skilled migration, including the state or territory government sponsored migration which is a guaranteed "INVITE" for a visa application. Varghese personally oversees your entire application process for settlement in Australia. Apart from being an Australian Registered Migration Agent (MARN 0209861), Varghese is also an Accredited Credit Advisor, Certified Practising Accountant and member of various professional bodies. 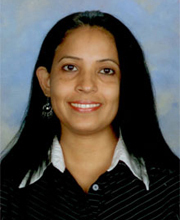 Tessy Puthussery is a Senior High School Teacher with over 21 years teaching experience. 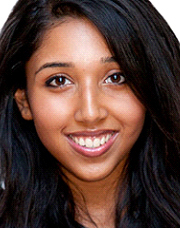 Tessy joined E-Visa Australia Pty Ltd in 2010 and assists our clients’ with the application process. She carefully completes many complex applications for e-lodgement and liaises with clients for any information or documents needed for the visa application.